Can you tell the difference between an Oxford and a dress shirt, yet still know how to appreciate a good pair of joggers? You might be the 'urban gentleman' that Vito is on the look out for - someone who's able to merge classic styles with modern ones and appreciate the unique mix. With our Vito voucher codes, you experiment with their modern prints and classic shapes without spending a fortune, so take a look through their collection and see what takes your fancy. Vito are the experts of classic clothing with a modern twist. Offering both engaging and simple pieces, it's easy to add some interest to your formalwear without going overboard. A Vito blazer, for example, might come in a clean, structured design in a simple colour, or a more fitted model with an abstract wide print pattern. 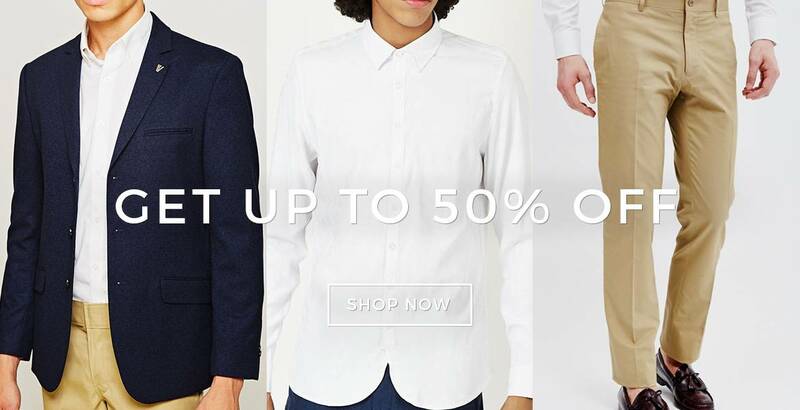 This allows you to make your wardrobe as striking or classic as you want, and, with our Vito voucher codes, you can get these versatile pieces for up to 50% off. If you want to stay up-to-date with our future sales without having to check in on the site, then why not sign up to our newsletter? Not only will you get an email everyone we've got a great discount, you'll also receive the occasional coupon codes and 10% off of your first order from The Idle Man. Plus, if you spend more than £5o on our website you’ll automatically receive free shipping. Got a friend who's into their fashion? Check out our Refer a Friend scheme and you can get them a nice little discount on some in-store products. All you need to do is share your discount code on social media, or invite your friends via email, and they'll be sent £5 credit to spend on whatever they like. Then, if they spend £30 or more in their first shop, we'll send you £5 worth of credit as well. If you're a student looking for some good deals, then check out our Student Discount page. You can get 10% off Vito, as well as tonnes of other brands, as well as 20% off on our special double discount days. Just remember, in order to qualify for these discounts you need a valid NUS or student card. With the desire to create clothes that emulated traditional Scandinavian tailoring, Vito started its mission in 2010 and never looked back. The mix of modern and classic elements in their clothing has helped define them as a brand for the contemporary gent, keeping their clothing both unique and accessible. With our Vito voucher codes, you can get some of their versatile pieces for up to 50% off, ensuring you look great without spending a fortune.